I'm Getting Tired of The 'YOU For Christ' Sermons When I Need The 'CHRIST For You' Sermons! There was a time -- quite a long period of time, actually -- when I was the type of Christian who firmly believed that I had to "do something" for Jesus; that He needed to "see my devotion" to Him. No, it wasn't that I ever thought I earned my salvation based on my own good works (Ephesians 2:8-9 makes that pretty clear), but I certainly believed that I could earn favor with Him by "proving my loyalty" to Him by doing something in His holy name. In short, I believed I had to live "radically" for Jesus before David Platt told me I had to. I believed I had to always exhibit "crazy love" for Christ before Francis Chan made me feel guilty for not showing it enough. I believed I had to prove to other Christians that I definitely wasn't just "a fan" of Jesus before Kyle Idleman made me compare myself to other believers to measure my own righteousness. Oh how sadly misguided and mistaken I was! Yes, I was seduced by the sounds of soothing words that tickled my ears and told me everything that my "Old Adam" craved to hear. I just didn't know it at the time. 2 Timothy 4:3-4 (ESV) 3 For the time is coming when people will not endure sound teaching, but having itching ears they will accumulate for themselves teachers to suit their own passions, 4 and will turn away from listening to the truth and wander off into myths. What sinner wouldn't want to hear a "Theology of Glory" type of message instead of a "Theology of the Cross" kind, or prefer the kind of preaching and teaching that made it about "YOU For Christ" rather than "CHRIST For You" like it should be? And so, knowing how deceived I was for so very long, and how I had nothing but the best intentions despite that deception taking deep root in my life, I'm praying for patience in my present situation. That's what makes this so hard for me. Galatians 5:22-26 (ESV) 22 But the fruit of the Spirit is love, joy, peace, patience, kindness, goodness, faithfulness, 23 gentleness, self-control; against such things there is no law. 24 And those who belong to Christ Jesus have crucified the flesh with its passions and desires. 25 If we live by the Spirit, let us also keep in step with the Spirit. 26 Let us not become conceited, provoking one another, envying one another. Philippians 4:6-7 (ESV) 6 do not be anxious about anything, but in everything by prayer and supplication with thanksgiving let your requests be made known to God. 7 And the peace of God, which surpasses all understanding, will guard your hearts and your minds in Christ Jesus. What's the problem? Well, I never thought it was possible (no matter how bad things got), but I'm saddened to report that I now find myself a member of an LCMS Church that could very well one day be the focus of an episode of Fighting For The Faith with Chris Rosebrough! Things were pretty rough to begin with (as many of you who are regular readers of this blog can confirm), but they got even worse this past Sunday when the Pastor based his sermon on John 3:16 and made it all about YOU and ME instead of keeping the focus on our Lord and Savior, Jesus Christ! I never thought I would find myself in a situation like this, but it's pretty evident (if it wasn't before) that I have a responsibility to my family to find a more faithful church that actually believes, teaches, and confesses what I believe, teach, and confess that is in accordance with God's Word and underscored by our Confessions. Sure, he started off by leading us in a good direction as he made us think about the John 3:16 signs we'd likely see in the end zones on TV should any of us watch an NFL football game later that same day on the first day of the season, but he quickly turned it into a "YOU For" sermon instead of a "FOR You" one. What do I mean by that, exactly? Below are some notes I took during the sermon. *- Remember what I wrote in Sunday's post: "Unfortunately, the sermon we heard at my LCMS church this morning didn't do any of that. In fact, it was so bad (a.k.a. non-Biblical and, therefore, non-Lutheran) that my own kids offered up their own commentary about it -- unprovoked -- as soon as we got into our car to leave. They're 9 and 8 years old. More on that later today perhaps. Please continue to pray that we find a faithful church nearby and soon. So, that being said, I needed to find a sermon online that more accurately reflected what it is that we all believe, teach, and confess that is in accordance with the holy Scriptures or 'the faith that was once for all delivered to the saints' (Jude 1:3)." *- "Our purpose in this life is to respond to the promise found in John 3:16 with our actions and words, because what matters is what others see in our body language as well as in our eyes." Very Rick Warren-esque, wouldn't you say? Almost like he was trying to play the Table Talk Radio game "How Biga Missionalist Are Ya?" *- "God speaks to us by using the Bible and by using people..." There was absolutely NO MENTION of the Sacraments of Baptism or the Lord's Supper here! It was simply about God needing His Word and needing us to do His job for Him on this earth in conjunction with His Word. In that sense, it was almost like WE OURSELVES are the living sacraments. *- "The best evangelistic tools we have today comes through Spirit-driven people..." What!?! Where is that in the Bible? So, God grows Christ's Church through "Spirit-driven" people and not through the ministry of the Holy Spirit working through the Word and Sacraments? *- "God is using us to reach a new plateau, or new level of spirituality..." Really!?! I guess Steven Furtick's on to something after all with his appropriately named "Elevation Church" then. I know I only shared a few quotes from the sermon above, but do you really need to read any more to know that a sermon that was supposedly based on John 3:16 did nothing to proclaim Christ crucified for the sins of all mankind, because it made it sound more like it needed to be "INSERT YOUR NAME HERE crucified for the sins of all mankind" since it was an infamous "YOU For Christ" sermon instead of a "CHRIST For You" sermon? The "YOU For Christ" sermon says that YOU will be the one to save men's souls and usher in God's Kingdom. The "YOU For Christ" sermon says that YOU will have all the answers to life's questions and be able to convert the skeptic. The "YOU For Christ" sermon says that YOU have to do you part or else God's will cannot be accomplished like He wants it to be. The "YOU For Christ" sermon says that YOU are the only one who can convince non-believers of God's love for the world. The "YOU For Christ" sermon says that YOU are God's answer to the defeat of sin in the world. Notice anything that's missing? Now do you understand why I'm so fired up about this even though it's been a couple of days now? Lord, please forgive me, I'm trying to put the best construction on this, but I don't see how I could when they are perverting your Gospel. Shame on those we trust who are called and ordained to deliver "CHRIST For You" through His Word and Sacraments, but who choose to forge their own path for whatever reason (Hosea 4). I'm still utterly speechless knowing I just sat through a sermon -- in an LCMS Church no less -- that gave an entire sermon that was supposedly based on John 3:16, and yet, the only mention of Jesus Christ as the propitiation for our sins through His suffering, death, and resurrection was when the Pastor read John 3:16 aloud to begin the 20-minute sermon that was ultimately about Me, Myself, And I.
Galatians 1:6-10 (ESV) 6 I am astonished that you are so quickly deserting him who called you in the grace of Christ and are turning to a different gospel— 7 not that there is another one, but there are some who trouble you and want to distort the gospel of Christ. 8 But even if we or an angel from heaven should preach to you a gospel contrary to the one we preached to you, let him be accursed. 9 As we have said before, so now I say again: If anyone is preaching to you a gospel contrary to the one you received, let him be accursed. 10 For am I now seeking the approval of man, or of God? Or am I trying to please man? If I were still trying to please man, I would not be a servant of Christ. I know there is no perfect church, no perfect Pastor, no perfect sermon, but I do know that God's Word is perfect and true. So why aren't we being nourished with it? Why are we being fed a steady diet of Liquid Drano instead? What's the big deal? What's the risk of this style of "YOU For Christ" preaching and teaching, you ask? Such un-Biblical preaching and teaching is playing with fire. If I hear this one more time, I swear I’m gonna snap. “God has a plan.” Wonderful. And I almost thought that, maybe for just a moment, there was a lapse in omnipotence. Of course He has everything under control! That’s the problem: I’m hurting right now, and He’s sitting on His hands. I don’t like His plan right now, and reminding me that what’s going on in my life was, at the very least, passively allowed by the cosmic micromanager, that don’t cheer me up. Oh, but his plan is “not to do me harm,” eh? You’re not listening. I just said that I’m hurting right now. Somebody or something is doing me harm, so make up your mind: Is this a part of God’s plan, or did He delegate it to somebody else? God is the one who crushes us. The problems in your life, right now, are His lovely little “gifts,” and anybody who thinks 1 Corinthians 10:13 means we can handle them all hasn’t spent enough time at the end of their rope. Broken bones, the Psalmist says, trembling loins and searing pain. “I am weary with my moaning; every night I flood my bed with tears; I drench my couch with my weeping.” …but don’t worry, I can do all things, right? “God works all things for good.” It’s nice to consider that at the end of the trial there could be some positive outcomes. But you don’t know that. Sometimes things don’t get better. Sometimes we stay sick. Sometimes we don’t overcome our addictions, emotional issues, or relational problems. Sometimes we walk through loss of loved ones, divorce, or an endless dark night of the soul. Sometimes our life is brutally and violently taken from us. Any good coming from this is most certainly of precious little benefit or comfort to me. I appreciate you trying. I can feel your good intentions trying to cheer me up. It’s just that what you’re saying has the exact opposite effect. Even if I knew for a fact that things would have a pleasant resolution (we never can), it brings me little relief to think that right now, in the middle of my suffering, God seems absent. How long, oh Lord? Jesus knew what it was to suffer. He also knew God’s plan. 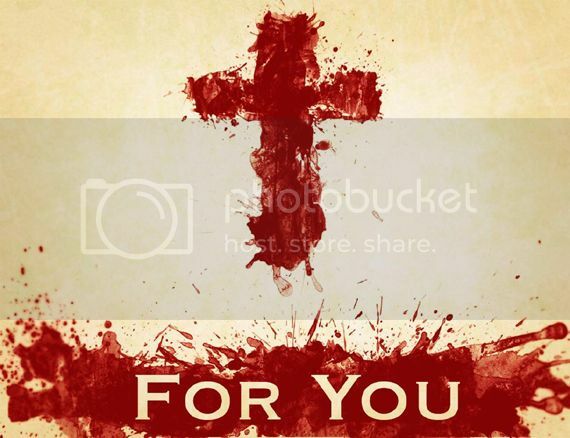 Would you walk up to Him as He is being crucified and offer the same sentiment? “Don’t worry, it’s just three days, you’ll be back and it’ll all be better.” Somehow, I just don’t think that makes the pain of Calvary any less significant. Jesus knew He was rising again. He still felt forsaken. By God. He cried out in anguish. “Hang in there, Jesus!” Uh-huh. Ultimately, God’s “wonderful plan” is for you to die. Every single person. That and taxes are inevitable, but one is promised you by God Himself, along with trials. Comforting, ain’t it? “Oh, but then there’s heaven, and every tear will be dried from your eyes!” Ah, yes. The celestial white picket fence. But cancer still hurts. Betrayal still stings. Hard things remain yet before us, and God does not offer us a way around them or an escape from them. We must endure. Let’s be honest about what that looks like. There may be seven levels of hell before the promised paradise. That hope is easily lost amidst the throes of agony, especially when we begin to wonder why a God who promises such eternal bliss can’t just skip to the happy ending. You see, when pointing a person who is suffering to God’s “plan,” you are appealing to His sovereignty for good news at a time when it seems most responsible for bad news. This is what Lutherans call a “theology of glory.” God is good, God is all powerful, cling to this and know that His benevolence will win out in the end. However, pointing to God’s sovereignty as a source of comfort places His goodness on trial. He allowed this into my life. The world is cursed by Him because of sin. A theology of glory almost always, inevitably, comes down to something YOU can do to help improve your situation. “God’s got a plan” nearly always segues into, “…and you just need to…” Pray more. Believe more strongly. Learn to accept it. Focus on others. Be more satisfied with God. I propose that we do not have as much influence over our life as we often like to think. Sometimes a solution may come from our own striving and the assistance of others, as with cases of addiction. But when the cure is beyond the reach of human effort, were only hurting people to point them there, because now their ongoing pain is also a consequence of their failure. Let’s add some guilt to the equation, shall we? Martin Luther, in the Heidleburg Disputation, said: “He deserves to be called a theologian, however, who comprehends the visible and manifest things of God seen through suffering and the cross.” A potentially benevolent Almighty is simply not a Christian encouragement. A Muslim could say that. It is Christ-less, it is cross-less. When the troubles of life threaten to undo us, Christians can cling with hope to the cross of Christ. Here, and here alone, we see who God truly is for us. And this sorrowing, sighing, bleeding, dying, God-forsaken man is Emmanuel: God with us. That is the Christian comfort. In your agony, Jesus suffers with you. When we cry, He shares our tears. When we bleed, He shares our scars. When our life is spent, He says “you are safe in my death.” Though we are healed by His wounds, it is not a completely vicarious healing: we are united to Him in His death, and share with Him in His suffering. God is not twiddling His thumbs while we writhe, waiting for the perfect time to enact His maneuver. He is by your side, walking with you through fire. Luther goes on to say, “A theologian of glory calls evil good and good evil. A theologian of the cross calls the things what it actually is.” Suffering is bad. It is not a means to some higher end, as if whatever didn’t kill you would make you stronger. It will kill you, eventually. We are not called to carry our cross like little spiritual stoics. Sometimes trusting God will include some very dark emotions. We are called to walk with Christ through the valley of the shadow of death, that He might be our light and our life. Let us look to Him in our trials; not to the Father’s power and foresight, which judges the world through the curse, but to the Son, whose promise and presence is the one true balm for every woe. In the cross of Christ we see not a God of “the plan” pulling the strings of the universe, but a God of compassion, who delights in showing mercy. That's so very true and that's why I will continue to write about this sort of nonsense at church. Pastors, please at least pretend to take His Word, His Sacraments, and His calling upon your life as seriously as we laymen do. Just give me Jesus...PLEASE? I don't need to hear about how good I am or how much better I could be...FOR JESUS. I need to hear how good and better Christ is...FOR ME!